As you may know, especially if you are in the market, a fence is not only a way to spruce up your property, but a necessity for safety and privacy around your residence. Our residential fence contractors in Blaine, MN can not only help you find the right fence for you but assure that you will be happy with it for years to come. The last thing you want is to replace your fence because it doesn’t meet your household needs…we can help you choose a fence that will keep you more than satisfied for years to come. It’s important to choose a stable fence that will fit its function. Do you have a dog you want to keep in, or a pool to surround, maybe you just want privacy from nosy neighbors? No matter the reason, you’ll want to make sure your fence is stable enough to withstand pressure from pushing, climbing, even the elements. Storms can wreak some of the harshest havoc on your structures and your fence is not an exception. Erecting an unstable fence can not only cause damage to your property but can be a safety hazard to your family and others. 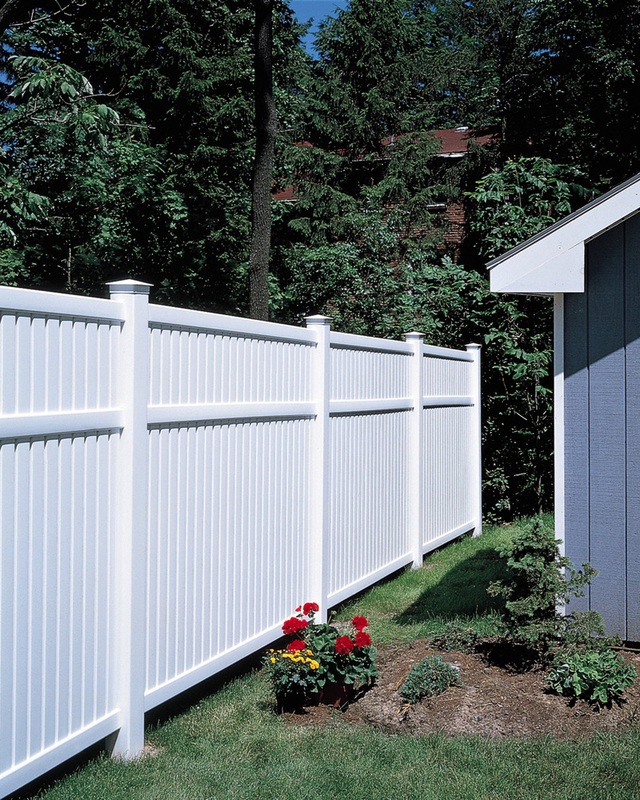 Our professionals will be sure to educate you on fence stability and install your fence to provide you exactly that. Vinyl – This is a great low-maintenance decision. Vinyl fences do not have to be tended to often and mainly just need to be cleaned, not repaired. Wood – These types of fences are appealing to the eye. Due to the fact that so many types of wood exist, you can have a very unique fence that differs from your neighbors and fits your personal aesthetic. Chain Link – A chain link fence is a must-have for the sometimes harsh Minnesota weather. It is extremely durable and is virtually maintenance-free. Ornamental – From steel to aluminum, these fences are pleasing to the eye. The material is lasting and as a bonus – they can add value to your home. Privacy – Built just as their name intends, these fences are designed to separate your private activities from your neighbors and passersby. Privacy fences tend to be solid or scalloped with no gaps and just tall enough to barely see over. Commercial – Commercial fences are used by businesses and like organizations. They can be seen at athletic fields, storage facilities, parking lots, apartment buildings, and so on. Installing a fence for safety and attractiveness doesn’t have to be a difficult process. With a variety of fences to choose from, it can actually seem quite effortless. Our Blaine Fence Company can meet your needs and provide stability and satisfaction on your terms. Contact us today!